Familiarization flying is a mandatory annual training activity for all Air Cadets. 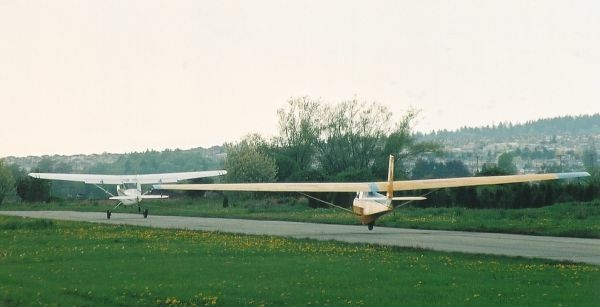 In order to accomplish this training, the primary mandate of Regional Cadet Air Operations (Pacific) is to provide a glider familiarization flight to every air cadet in British Columbia each year. When RCA Ops (Pac) is unable to provide a Squadron with a reasonable gliding opportunity during the training year due to inclement weather or lack of aircraft availability, RCA Ops (Pac) may meet this requirement by providing familiarization flights in powered aircraft at no expense to the Squadron. Annually, RCA Ops (Pac) is responsible for scheduling glider familiarization flying to over 4,300 air cadets around the region. With due consideration for the number of aircraft available, the duration of the spring and fall gliding seasons, the limitations imposed by inclement weather and the geographic dispersal of Squadrons, this is a challenging task. To ensure that valuable aviation resources are used to greatest overall effect for the Air Cadet Program, a carefully coordinated and very strict schedule of gliding operations is planned for each training year. d. “spare” capacity to compensate for days lost due to inclement weather. 3. As much as possible, gliding is scheduled to a squadron’s strength. 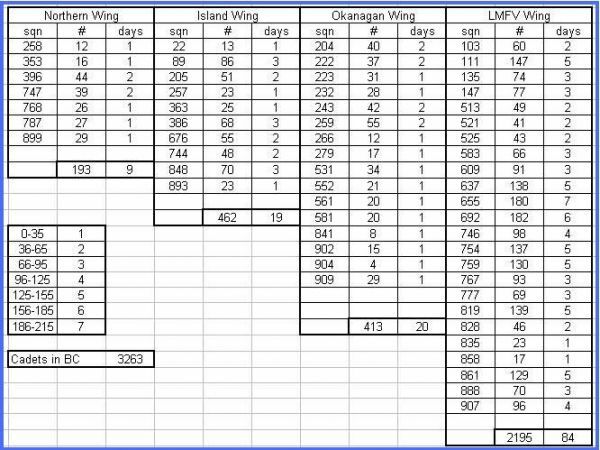 Allocations of gliding days to each Squadron are based on the previous year’s cadet strength, which may be refined if a Squadron experiences a significant change in strength. Provision must also be made for annual proficiency flights, experience building, and qualification upgrade training for tow and glider pilots. 4. The scheduling process is conducted during the winter months, and is normally published in February for the fiscal year commencing 01 April. For longer range planning, the schedule is published for an 18 month period, with the final six months subject to review and change each year. 5. Should a squadron have fixed dates for significant activities each year, the D/RCA Ops O should be notified in order to minimize scheduling conflicts. 1. Get Organized. Once your gliding day has been scheduled, take the time to stimulate cadet interest in the scheduled gliding day using the “aids” provided at the bottom of this page. Like any training activity, a “good” gliding day does not just happen – it takes effort. 2. Maximize Participation. 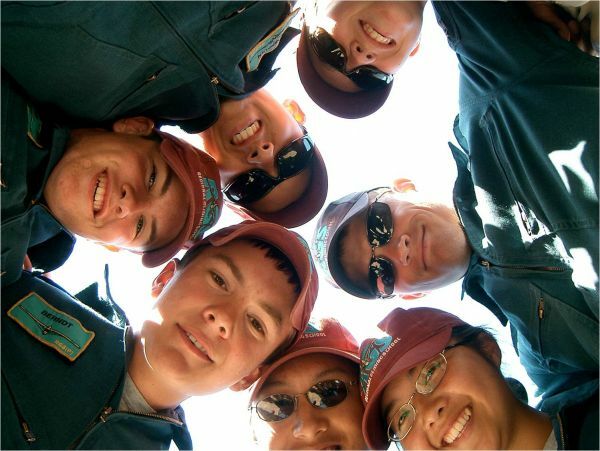 Take steps to maximize the participation of your cadets. If you are scheduled to bring 30 cadets to your gliding day, make every effort to meet that target. If you think you may fall short, consider bringing interested cadets from a sister Squadron. There is nothing more frustrating for Gliding Site staff than to see valuable gliding capacity under-utilized because of a low turnout. 4. Deal with the Weather. It is an unfortunate reality that scheduled glding activities will sometimes have to be cancelled due to inclement weather. Unfortunately, well intentioned Squadron staff sometimes take it upon themselves to cancel gliding activities based on an adverse weather forecast, only to wake up the next day to blue skies. Sometimes, weather may not be suitable for gliding, but familiarization flights in the tow aircraft may be possible. Gliding Site staff are the subject matter experts on the suitabilty of weather for flying operations, so please communicate with them about the expected weather, and let THEM make the decision. 4. Please Don’t Cancel. Every year there will be a couple of Squadrons who cancel their participation in gliding with little or no notice. As it is virtually impossible to schedule another Squadron to fly on such short notice, this results in a wasted flying opportunity for some deserving cadets. Remember, familiarization flying is a mandatory cadet activity, and the published gliding schedule constitutes a directive from the Commanding Officer of the Regional Cadet Support Unit. Strictly speaking, cancelling without notice or without good reason constitutes a non-compliance with orders by the Squadron CO. If you do have a scheduling conflict, it is the responsibility of the Squadron to attempt to switch dates with another squadron. The Zone Training Officers can be an invaluable resource, make sure to engage them! 5. Please Show Up. “No-Shows” are perhaps the most frustrating challenge faced by Gliding Site staff. Thankfully it does not happen very often – but it does happen. Please remember, the cadet program has committed significant resources to your planned gliding day – resources which are completely wasted if you chose not to show up. Rest assured, a “no-show” will get the attention of senior officers, and at the Air Cadet League. As with any activity, the key to success and to ensuring your cadets get the most from their gliding experience is planning and preparation. Attached below is a PDF file entitled “Getting the Most Out of Gliding” which contains many tips and hints to help the Squadron prepare for a meaningful and interesting training day at the Gliding Site. This is not only useful information for Squadron staff, but also for cadets and parents! Also attached below is a PDF file entitled “What to Expect at the Gliding Site”. This is intended to give staff and cadets some information to help prepare you for your experience at the Gliding Site, including some very important safety information. Getting the most out of gliding!